Sheridan School District joins districts across the state to celebrate School Board Member Recognition Month in January. More than 1500 Arkansas school board members are being honored for their service and dedication to public education. “Our school board members serve a crucial role in representing our students and advocating for public education,” said Superintendent Jerrod Williams. “We are very grateful to our board members for their leadership and passion to provide the best education possible for our students." The members serving on the Sheridan School Board are Deborah Mooney (3 years), Bryce Lunday (6 years), Gart Pitts (15 years), Byron Hicks (16 years), Vice President Michael Mosley (14 years), Secretary Jeff Lisenbey (18 years), and President Jody Spann (22 years). The Sheridan School District honored the board members for their years of service at the January school board meeting. 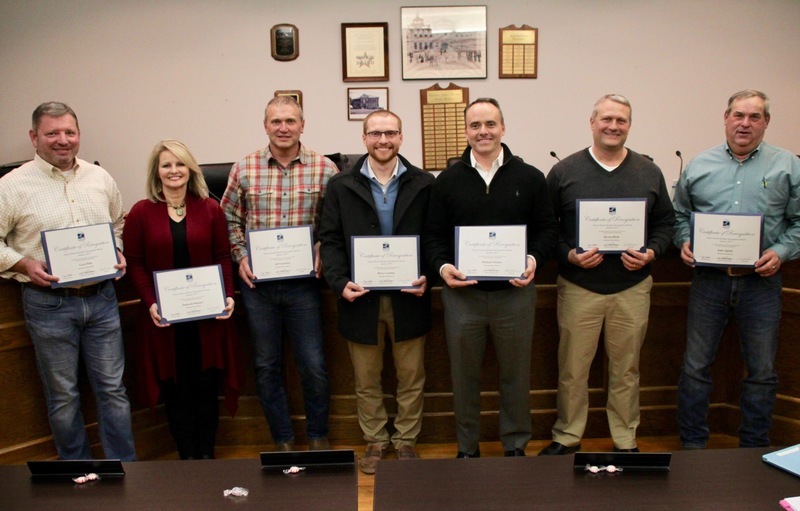 Sheridan's Director of Communications and Recruitment Lauren Goins presented each board member with a certificate and a desktop calendar featuring pictures of students and student artwork. Goins said the 12-month calendar represented the district's acknowledgment that although the Arkansas School Board Recognition Month is a great time to celebrate board members, the district recognizes their service is a year-long commitment. As publicly elected school leaders, Arkansas school board members set policy for their respective districts. Under state law, they are empowered to hire and evaluate the superintendent, oversee district finances, approve the budget, and determine the vision and mission of the district. School boards must also approve the curriculum and ensure the district maintains adequate facilities for teaching and learning. In addition to their board duties, state law requires Arkansas school board members to earn a minimum of six hours of professional development each year in areas related to their role and responsibilities.